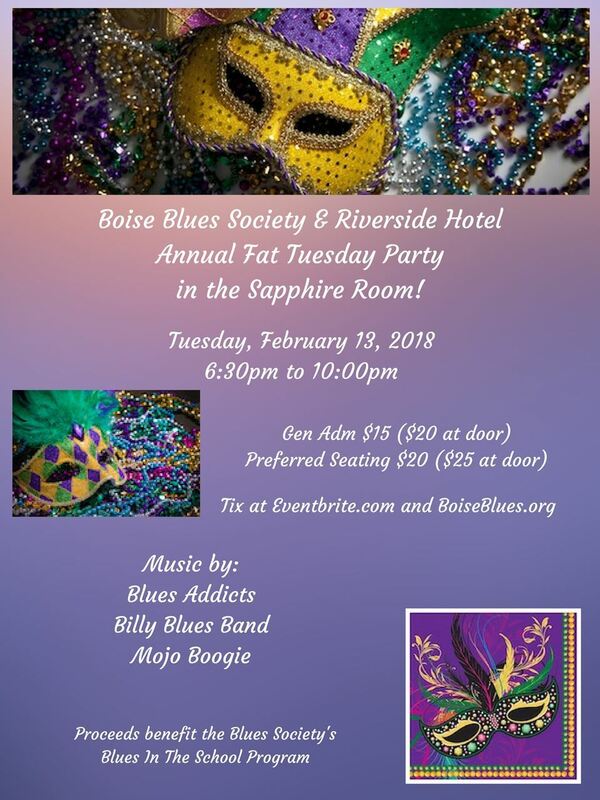 The Boise Blues Society's Annual Fat Tuesday event is BACK! The biggest Boise Blues Society Fundraiser of the year always sells out fast-- get your tickets before they're gone! Doors open at 5:30 and music starts at 6:30 p.m.